Alhamdulillah, our previous campaign, “East Africa Famine 2017”, helped provide emergency relief to the famine-struck countries of East Africa. How else can we make a difference? “Water Wells for East Africa” is Al Huda Institute’s effort towards providing a sustainable long-term solution for people affected by the famine in East Africa. 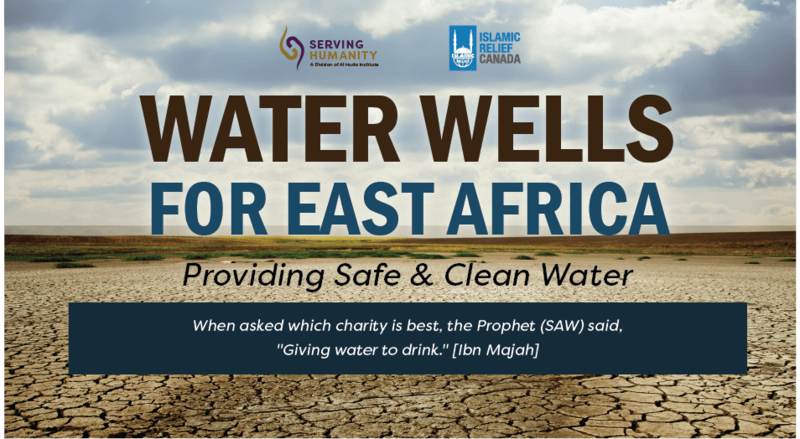 This project, a collaboration with Islamic Relief Canada, aims to raise $12,000 for the rehabilitation of two boreholes in Kenya Insha’Allah. Our vision is to be able to provide access to clean water to people of Garissa county and Mandera county who currently have to travel for hours daily in order to get water.